One of the unfortunate outcomes of the marketing of our major art galleries is that so much emphasis has been placed on the special and blockbuster exhibitions. This form of marketing may be assisting with budgets, but this success is at the cost of letting people know about the galleries’ own collection exhibitions. Our public galleries have enormous and fantastic collections and those parts of their collection that are on display are easily equal to many paid special exhibitions. The other advantage of taking in the collection exhibitions is that they are rarely crowded. In fact on some days a collection exhibition visit can be a fairly solitary experience. For instance at the NGV* all sorts of gems could be on exhibition, such as the iconic Jeffery Smart above. Curiously I was amazed that this Sydney icon was owned by the Victorian state gallery. 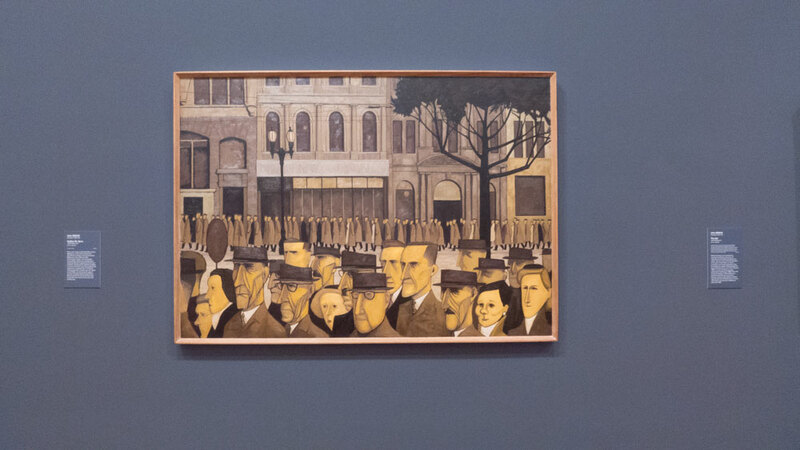 It is always a pleasure to stand back and admire the work of John Brack – below. Very Melbourne! Of course, not everyone switches off to the outside world and allows themselves to be consumed by the fantastic art on exhibition – see below. Must check that phone! 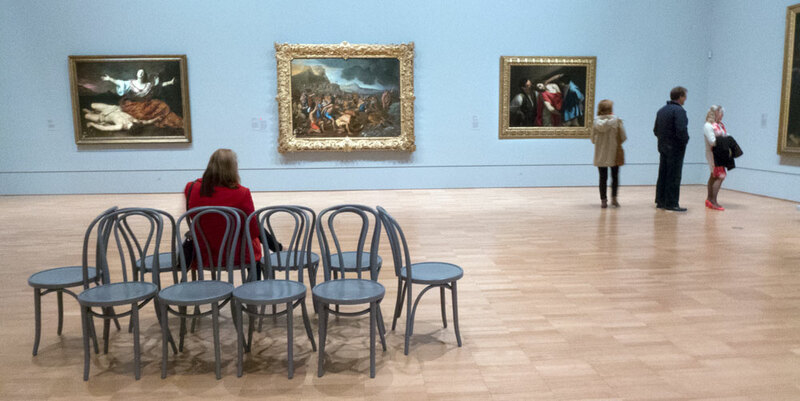 In the NGV (National Gallery of Victoria*) Federation Square venue there is just so much to engage with. Any time I am visiting to see something in particular, I always allow ample time to go wandering through the other gallery spaces. You just never know what may catch your attention or what has been shifted in for the collection exhibition. What is evident from observing others in these collection exhibitions, is that those who do wander through, usually do so with purpose. They are there to enjoy and take time to look, to read and to take in what is being exhibited. I would suggest that these visitors spend more time looking at selected works than those who visit special exhibitions. 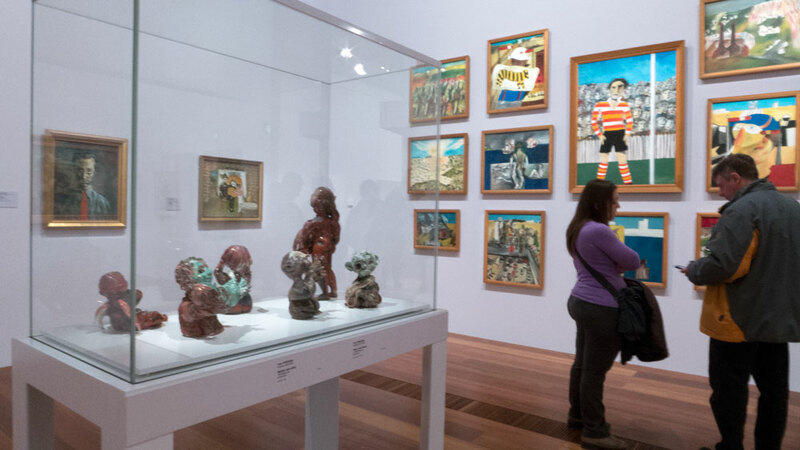 The galleries over at NGV* St Kilda Road are different but just as engaging to wander about. The sad note is that the management has removed the dedictaed photography gallery so a visit to this venue means that you will see very little photography, if any. See the picture above, everyone was on the phone! Now for a special complaint. On my last visit this had all changed. Gone are the enticing coloured walls and the pleasant atmosphere. Someone in design or management had introduced more objects (all good so far) but had also completely repainted the room and taken away completely the calming environment. The galleries now have an awful bland colouring that is in no way complementary to the fabulous works. These spaces are now not so nice. They are no longer a peace inducing environment. The seats may be practical but not comfortable. The person or persons responsible for these decisions should be run out of the building as they do not understand the visitor experience. 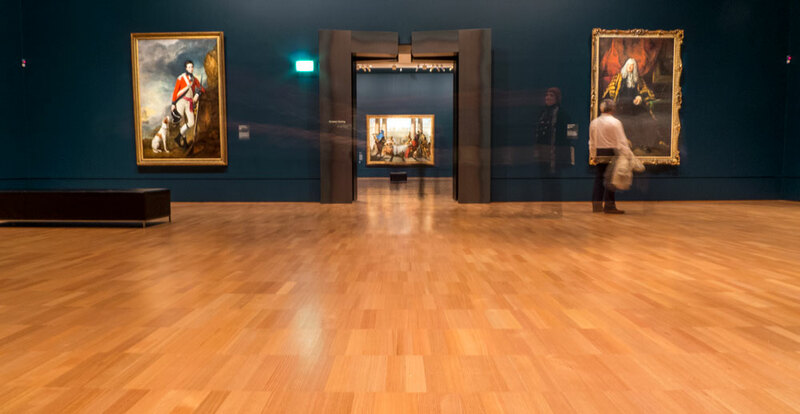 Despite the setbacks of having lost our precious photography gallery and the previous beautiful atmosphere in these ‘old art’ galleries, I still highly recommend to anyone that they wander into the collection galleries of the National Gallery of Victoria* – and any other major public art galleries. 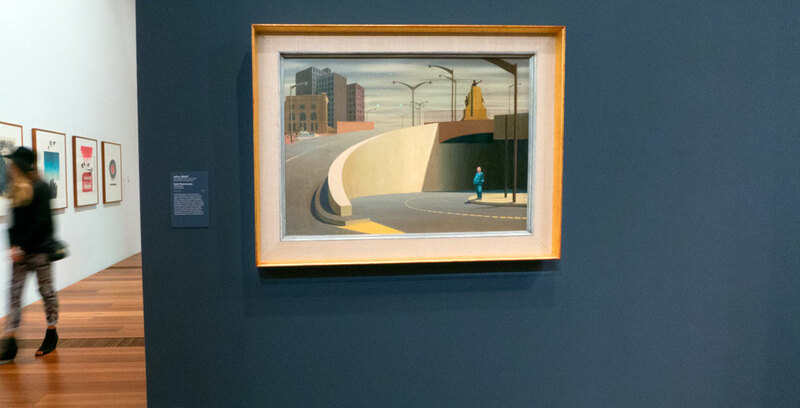 Allow time and sit and take in some wonderful visual arts. A request of the NGV management: Be proud of your collections, so do something about your marketing of the collections on exhibition. Do something about that confusing web site. And finally reinstate a dedicated photography gallery. And why I am at it – change your name*. * National Gallery of Victoria – For some reason this Australian state gallery still hides behind a colonial ‘national’ title. That is, this art museum is still called the National Gallery of Victoria, NGV. It is indeed strange for a 21st very successful state gallery to maintain its former colonial title. Have they not noticed that the Australia Federation happened and they are no longer ‘national’? 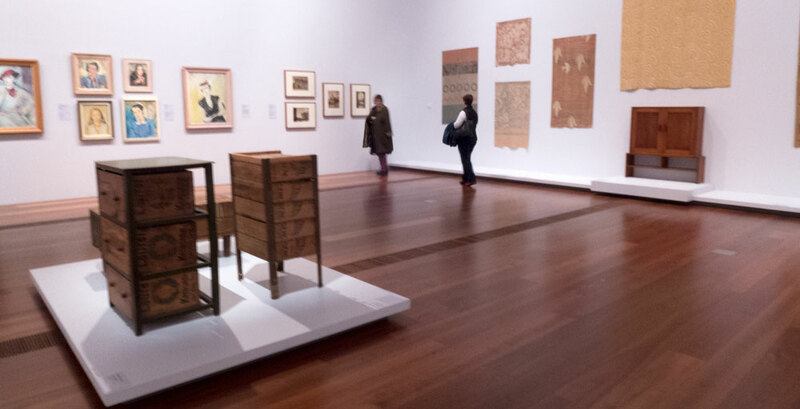 My recommendation is to visit the collection exhibitions at the NGV – visit often – and make a written complaint about the lack of photography gallery.